Game used line up card by Major League Baseball. 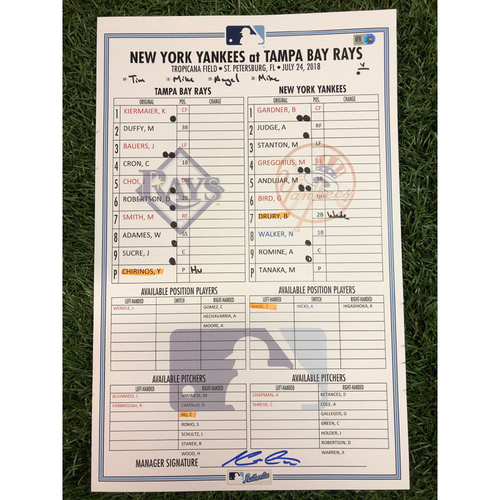 Net proceeds from the Rays auction benefit the Rays Baseball Foundation. If you're searching for something special from your favorite player please contact us directly at ksreid@rankandrally.com. The Rays Baseball Foundation, the official charity of the Tampa Bay Rays, focuses primarily on youth and education programs in the Tampa Bay region that make a measurable difference in the community. Key contributors to the Foundation include Rays owners, players, sponsors, fans and employees.